NBACL regularly gives free, hour-long information sessions to help raise awareness about our organization. These information sessions are essentially a tour of our mission during which we inform guests about how the organization was created, the programs we provide, and our vision for the future. These information sessions include a few stories from people we have supported in the recent past, along with some of the goals we’ve set for ourselves and our community. The purpose of each information session is to provide a unique method for people in the community to hear more about our organization and to raise awareness at the same time. It’s not a fundraising event so there will be no ask for money – we simply want to spread the word! These sessions are guaranteed to last one hour only, although we are always available to stay behind afterward to answer questions or chat about our work. NBACL relies on dedicated community volunteers who are willing to act as an ‘ambassador’ and host an information session. These sessions can happen any time and any where-boardrooms, living rooms, community centres, classrooms, etc. An ambassador would invite 10-15 people to join them to hear the community living story. Please consider inviting us to your workplace, service club, book club, faith community…or even host a ‘party with a purpose’! For more information about being an ambassador or hosting a session, please contact Deborah Thomas at (506) 453-4415 or dthomas@nbacl.nb.ca. We look forward to seeing you! 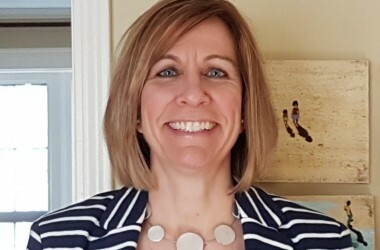 As Development Coordinator, Deborah is responsible for helping to raise awareness about the work of NBACL through our Changing Lives, Changing Communities information hours and events.